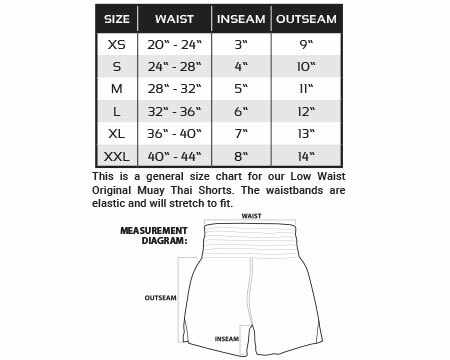 Thai Original Low Waist Muay Thai Shorts stand out from other Thai shorts out there. The shorter waistband and higher slits set these apart from other shorts. Featuring perforated sides for superior ventilation and comfort, you will love training and competing in these! Pair these shorts up with the rest of the Thai Original line from Revgear.